What is it? 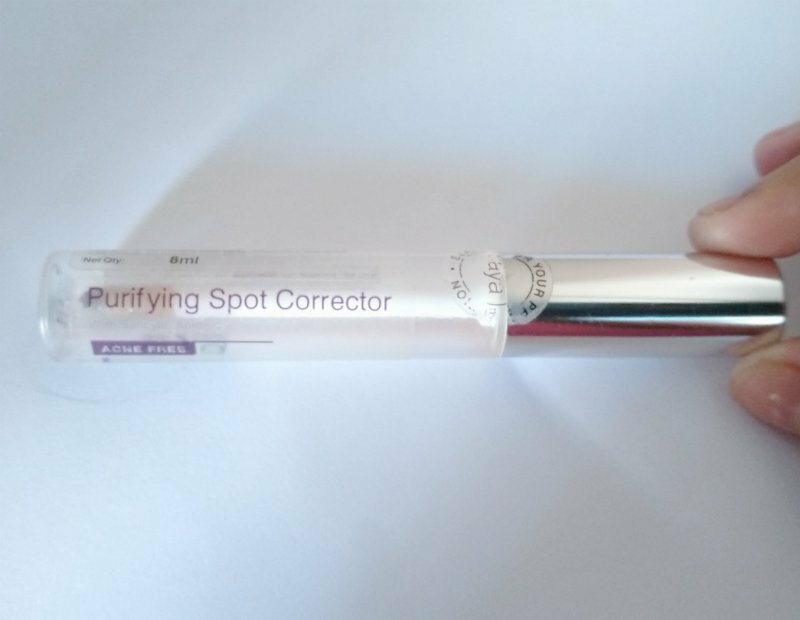 Kaya Purifying Spot Corrector is a spot treatment is formulated for acne and pimple prone skin that helps to reduce the size of an erupting pimple as soon as it appears. No, it is suitable for all skin type. If irritation develops discontinue use avoid contact with eyes. Apply directly on erupted pimples as soon they appear. The product comes with transparent tube packaging with a wand applicator. It is travel-friendly. It is a transparent water-based solution which gets absorbed quickly. The product has a chemical fragrance as it contains Salicylic acid which fades after a while. I have acne prone skin so I get zits quite often. Whenever I feel like I may get zits or a pimple coming I directly apply on it and this product really helps to dry that up. In case of bigger pimple it takes real time and honestly, I don’t find much effect on those. After a pimple gets dried it prevents from getting dark spots yet existing dark spots can’t be cured by this Now comes to the wand applicator it gets dirty over time so that may seem awful. I would not seriously but this product again considering its price and its benefits. I tend to get very fewer zits and pimple yet this product disappointed me, therefore, I really doubt if this it will work upon severe acne and pimple prone skin. Oriflame Pure Skin SOS Spot Gel – Is it Worth It? Clinsol Clindamycin Gel – Will it Work for Acne ? Diaper Rash Cream for Acne ? Thanks for such an honest review.. I have acne prone skin and I was planning to get this.. Now I would give it a skip..